Today is weigh-in day. What can I say? I hope I have a stellar loss. I’ve worked harder this week than I have in the few weeks prior, and I’m seriously ready to reach that 100 mark. I don’t expect it to happen today, but I definitely want to see advances in that direction. I’m thinking about giving the Bodybugg a rest in the upcoming week. I know that if I workout as usual I’ll reach my calorie deficit for the day, and frankly, it’s confusing. I feel like it’s an unnecessary distraction since I already know how much I should eat and how much I should exercise. I’m not saying I’ll give it up for good…I think I’ll just take it off tomorrow and reevaluate next week. It might be perfect for someone who isn’t already tracking their food and activity levels, but for me it seems like an unnecessary crutch. I was pleasantly surprised by my level of movement when I saw the numbers for myself, but was it worth $300? Nah. If I could return it today, I would. Does that mean you shouldn’t try it? Absolutely not! If you’re looking for a starting point then the Bodybugg could be a good thing. But if you asked my advice, I’d suggest investing the money in seven months at Weight Watchers instead. On a different note, I was reading Andrea’s blog yesterday and stumbled across this cool ABC questionaire. I love stuff like this so I decided I’d post my own here. If you’d like to see her answers, check out her blog. She’s a super lady! A) Are you a PC or a Mac? I own both. I suppose you could say that I’m a PC by birth, and a Mac by the grace of God..I prefer Apple because they just don’t crash as often, but I’m sure I’ll always own a PC too. D) Dogs or Cats? Dogs. Dogs. Dogs. Cats can be cute too, but I love dogs! E) Essential “Start the day” items: I have to eat breakfast…I’m not a fan of eating early, but it’s so important to get my metabolism started. I do it. I usually drink a Special K Chocolate protein shake or eat Fage 2% with strawberries. I could eat Greek yogurt for breakfast and dessert. Sometimes I do. L) Living where? New York, of course…! P: Pet Peeve: a wet bathroom sink…it’s bothersome. T) TV shows you watch: Big Bang Theory, White Collar, 24, Ruby, etc. Thank you, DVR. U) Underwear: Yes? I mean…I wear it. W) Ways you flirt: I smile or bite my bottom lip or bat my eyes or giggle, etc. X) Expiration Dates – do you keep or toss? I keep things like unopened cream cheese, but I toss milk..
Y) Yummy foods you make: Faux Fried Chicken, Angel Cookies, Onion Rings, etc. 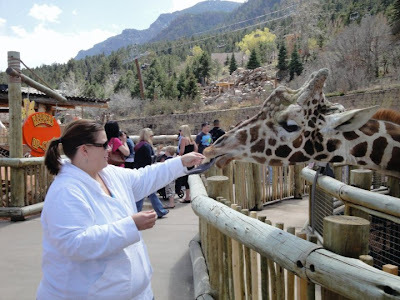 Z) Zoo animal you like: Giraffes are my favorite in case that was not previously clear…:) They’re just so cute! I suppose I’ve said enough for one blog post. Don’t forget to wish me good luck on the scale…;) I’m ready for it! Love your ABC's answers! Good Luck with your weigh in! Be proud you have done amazing and you are amazing!! Thank you for your honest review on the BBug. I've been wondering about it for a while and this helped me tremendously. Yes, best of luck to you on the scale today my friend! I'm sure if you don't hit your mark this week, you will for sure next week. How terribly exciting for you! Loved the little survey, I might have to borrow it! Good luck with your weigh in tomorrow! I know you'll have another great week. I absolutely love mine! I hit a several month platuea at the 55 lb mark when I was doing weight watchers and this helped me see I wasn't burning enough everyday. For me it's easier to count calories and focus on my fat/carb/protein intake instead of points. But we are all different! You've found what's best for you & something you like to do day in and day out. That's what's important! Good luck at the weigh-in. Your little survey was interesting, I learned quite a bit about you… And thanks also for the info about the Bodybugg. I was wondering if it would be helpful and you answered my questions without my even asking. 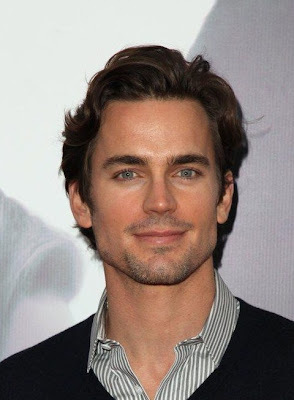 And Matt Bomber…wow! Thanks for the review of the BodyBugg,it's always good to get the scoop from someone who has used a product. Great answers! Thinking about you & that scale today!! I'll be looking on twitter to hear about it! Good luck! Sending lots of skinny vibes your way 😉 I love reading these type of posts. It's fun to get to learn more about you. Love that quote from The Notebook! It's one of my all time favorite movies! Good luck, good luck, good luck.. You will do great weight and see. Ha Ha. I want to be very clear about the Bodybugg..I didn't mean for this post to turn into a review of it, but I see that it did so I should say a couple more things. It's a super cool gadget. I like knowing that when I sweat my guts out working out that I can burn over 700 calories in 50 minutes. I also liked seeing that last night, when I didn't push quite as hard, I burned 590 in that same amount of time. I love techy gadgets, and the info. is fun to learn. The friends I have who use the 'bugg are satisfied with it so it's a good thing even if not my favorite thing. Second: Good Luck on your weigh in!! Good luck Kenz! I love your nickname! Loved your survey and thoughts on the BodyBugg. Can't wait to hear you results! YOU ARE SO CLOSE TO A MAJOR MILESTONE! I couldn't be more proud of you!!!!! Notice all the !!!!!!! Have you done BYOC on Friday's yet if you love those types of questions! I'd love to hear your answers! I hope you see the loss you deserve!